1. My back injury when i was doing bent over row about 6 months ago. I went to the hospital due to that, luckily no harm was done to my spine however my lower back muscle got really tight. 2. 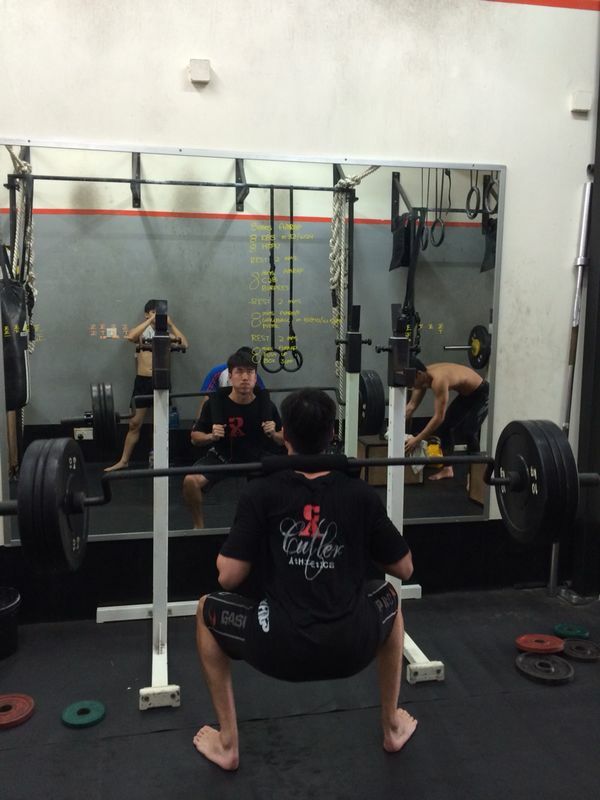 I was also squatting with knee pain and lower back strained at that time (mobility issue). 3. Shoulder and Neck muscle tightness due to lower back muscle pulling and of course from the high usage of computer. At that time, the discomfort from my lower back is that bad that i needed a massage every 2 weeks. First day of my trial its legs day, i told coach i couldn’t do it due to my back condition. But at Iron Fitness there is no skipping of training, no matter how you gotta complete the workout. However coach can tune the workout to suit individual level of fitness. Coach patiently guided me along and showed me the proper way to do it. Because i was having problem squatting on a normal bar, my workout remains however i will be using a safety bar instead. A safety bar squat will help to keep your body upright while you are squatting. Easier for you learn the movement of the squat. 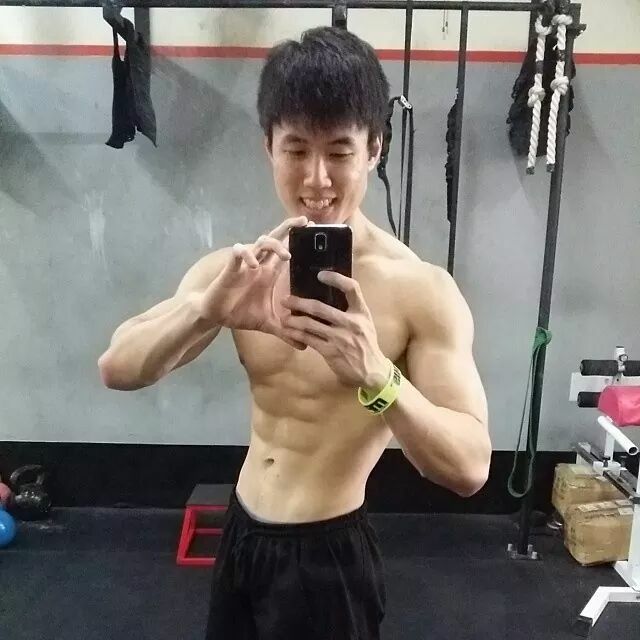 After my first trial, i when on training at Iron Fitness Singapore for another 3 months without training at another gym. I am training there about 3 times a week on average and here are the results. Just my thought on the difference between iron Fitness and other gym. 1. Going to the gym but not knowing what to do? Stuck with your workout and not seeing any progress? That won’t happen because Iron Fitness training changes every day. Knowledgable coach to guide you along and teach you how to train safely. 2. Hate going to gym where everyone looks tired and unfriendly. Not over here, everyone trains hard together and we bond as we work hard and achieve our goals together. 3. Train and train but don’t know if you are improving or doing the right thing? Your progress will be tracked every 3 months here! Of course consistent training is the key to improvement, if you skip training we will know at your fitness test day or 1 rep max day! 4. Worried that the weight is too heavy? Or you might kill yourself in your training? Progressive training, we go by % of our 1 rep max for our training. Ladies do the same as well! This ensure you are always training at your best and will see improvement every 3months! 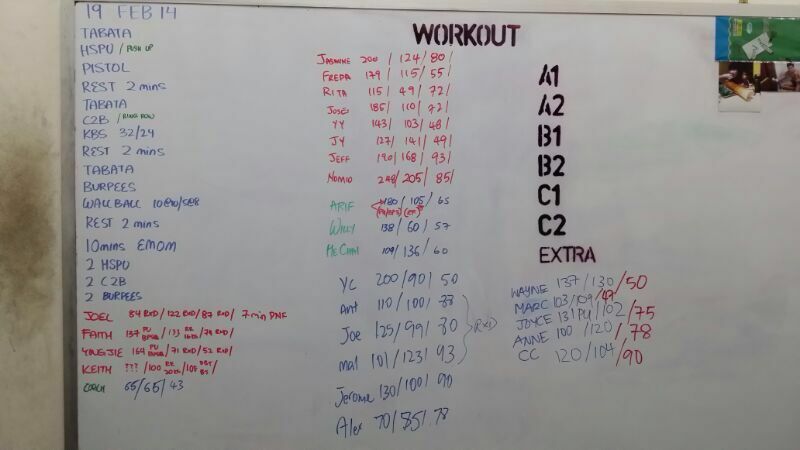 Training at Iron Fitness is definitely tough but enjoyable. Most of the people at Iron Fitness has a full time job but everyday without fail they will turn up for training, it makes me wonder at first what motivates them to train there everyday. Then i realise it is the Coach love for all his athlete. Regardless of who you are or where you are from, if you are willing to learn and improve Coach will give you his 100%. We train there together, motivate each other, care for each other and Get Stronger Together! 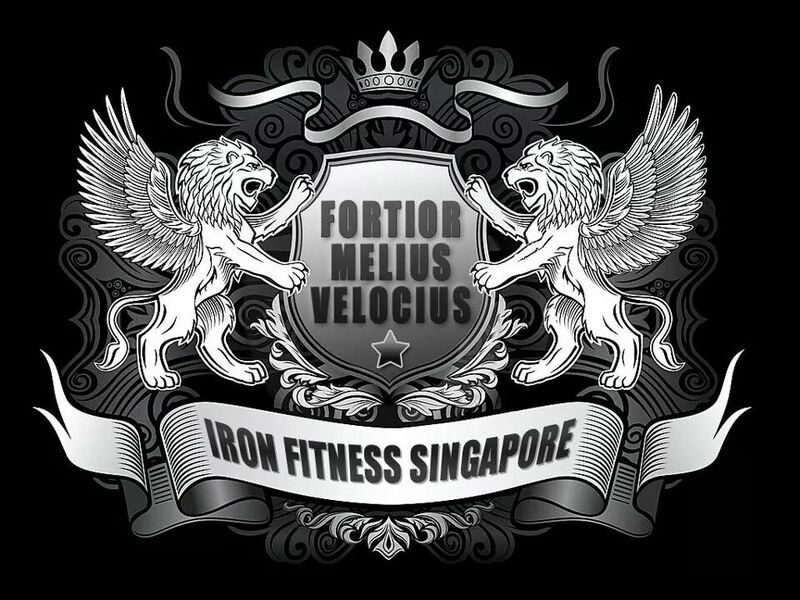 Iron Fitness Singapore is run by Coach Kelvin Quah, the first gym that specialize in Strength and Conditioning training in Singapore. Coach kelvin is very knowledgeable in strength training and proper rehabilitation that can help people who is looking to improve his performance in sports and people of any age who is looking to have a fitter lifestyle! To apply for a trial simply fill up the form below and i will get in touch with you!